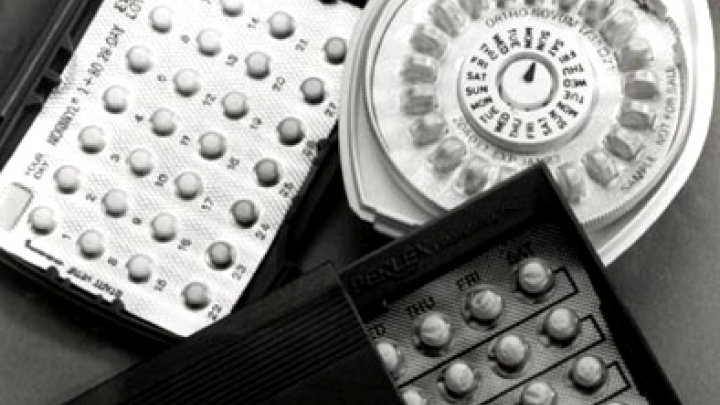 The U.S. Food and Drug Administration (FDA) has completed its review of recent observational (epidemiologic) studies regarding the risk of blood clots in women taking drospirenone-containing birth control pills. Drospirenone is a synthetic version of the female hormone, progesterone, also referred to as a progestin. Based on this review, FDA has concluded that drospirenone-containing birth control pills may be associated with a higher risk for blood clots than other progestin-containing pills. FDA is adding information about the studies to the labels of drospirenone-containing birth control pills. The studies reviewed did not provide consistent estimates of the comparative risk of blood clots between birth control pills that contain drospirenone and those that do not. The studies also did not account for important patient characteristics (known and unknown) that may influence prescribing and that likely affect the risk of blood clots. For these reasons, it is unclear whether the increased risk seen for blood clots in some of the epidemiologic studies is actually due to drospirenone-containing birth control pills. The revised drug labels (Beyaz" data-scaytid="23">Beyaz, Safyral" data-scaytid="29">Safyral, Yasmin" data-scaytid="31">Yasmin and Yaz" data-scaytid="33">Yaz) will report that some epidemiologic studies reported as high as a three-fold increase in the risk of blood clots for drospirenone-containing products when compared to products containing levonorgestrel" data-scaytid="37">levonorgestrel or some other progestins, whereas other epidemiological studies found no additional risk of blood clots with drospirenone-containing products. The labels also will include a summary of the previously released results of an FDA-funded study of the blood clot risk. Previous Drug Safety Communications related to the risk of blood clots with birth control pills that contain drospirenone were posted on May 31, 2011, September 26, 2011, and October 27, 2011. The DSC posted in May 2011 updated the public about FDA’s ongoing safety review of two new studies that reported a greater risk of blood clots for women taking drospirenone-containing products as compared to the risk in women taking products containing other progestins. Previously published studies had reported conflicting findings. The DSC posted in September 2011 discussed preliminary results from a FDA-funded study suggesting an approximately 1.5-fold increase in the risk of blood clots for women who use drospirenone-containing products compared to users of other hormonal contraceptives. The DSC posted in October 2011 released the final study report and appendices from the FDA-funded study in advance of the Joint Meeting of the Drug Safety and Risk Management Advisory Committee and Reproductive Health Drugs Advisory Committee Meeting. This communication is in keeping with FDA's commitment to inform the public about the Agency's ongoing safety review of drugs. FDA will communicate any new information on drospirenone-containing birth control pills and the risk of blood clots when it becomes available.